Welcome, Crystal! It’s great to have you! I took it as a challenge. You see, I write shape-shifters. Often. Some of them have this destined mate thing, some of them don’t. I like to mix it up from one imaginary “world” to the next. Mostly so I don’t get bored–I have to admit, that one isn’t for my readers’ benefit. I do think it’s possible to pull off the “destined love” and “genetic mating” thing. However, I completely agree with Victoria that nothing should make a relationship instantly gel. If that’s why a writer uses the mating instinct, then I think it’s a contrived plot device that’s as annoying as any other that readers encounter. I’m not saying my work is always perfect on this front, believe me, but I do think there are ways for the mating instinct to be part of the plot without seeming forced. First, I think destined mating should cause more problems than it solves. Yes, the mating instinct should not be seen by either or both (or all, in the case of menage or more) parties as a good thing. In fact, it’s usually something they want to avoid, manipulate, control, or run away from like the hounds of hell were nipping at their heels. An example from my own work: Antonio and Solana are the main characters in one of the novellas in my newest book On the Prowl. 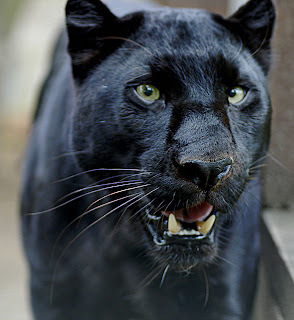 He’s the newly minted leader of a Pride of panther-shifters. One of the biggest problems for these shifters is keeping the population up because they can only breed if they are mated, and not everyone is guranteed a mate. Antonio tracks his mate down only to find she’s a non-shifter–someone who will never be able to breed, someone who was kicked out of his Pride for just this reason before he came home to assume leadership. So the fact that the two of them are mates is something that makes neither of them very happy. They don’t want it, they fight against it, and they have to come to terms with how being together will negatively affect their lives. And that’s where I come to the second must-do on making mating work. I think the writer needs to make it obvious that these people would choose to be together even without the mating instinct. The instinct may be what makes them completely unable to walk away from the person they see (at first) as being the least-acceptable partner for them, or the worst possible choice they could make, but it can’t be the only common ground they have to stand on by the end of the story. In other words, the romance has to be believable even if you didn’t have the mating instinct going on in your book. However, I do think that having that mating instinct is just an extension of most people’s desire for a “soul mate.” That one person (or people) that was fashioned just for you. That perfect match. With shape-shifters and destined mates, it’s a more culturally recognized institution for that kind of species, but that doesn’t mean the people involved don’t have as much (or more) work cut out for them in making the relationship work. Plus, for me, the mating thing? Is hot. I love the instantaneous connection (and, in my books, that means sexual connection with a heat-rating that’s off the charts and orgasms that register on the Richter scale), but insta-connection should never, ever equal insta-relationship. Everyone has to grow and earn their happy ending, mates or no mates. Intricacies of the Marriage of Convenience Plot. Where’s the Sexual Line in Paranormal Romance? Thanks, Kate! And thanks for having me, Victoria. I had a great time with this blog! Now I want to try a mate-bond story…. I think there's great ground for conflict. We want to believe we're rational creatures — yet when it comes to romance we still want to be head over heels.